In setting up a trust or writing a will, a settlor or testator has the choice of deciding which people are named as beneficiaries. In some cases, the testator may decide to name beneficiaries to receive payments from a trust or assets under a will only if the beneficiaries meet certain conditions. While some conditions may be valid, some cannot be upheld under the law because they impermissibly try to control certain aspects of a beneficiary’s life. A person setting up a trust or writing a will is generally allowed to condition gifts on certain conduct by a beneficiary. However, if the condition imposed on the beneficiary is illegal or against public policy, the condition is not likely to be enforced. If the condition is not enforced, the property is likely to be distributed as though the condition did not exist. Generally, there are two kinds of conditions that may be placed on a bequest, these are conditions precedent and conditions subsequent. Conditions precedents are conditions that must be met before the bequest can be distributed to the beneficiary. Conditions subsequent are conditions that can be met after the distribution. Conditions subsequent are more likely to be invalidated if challenged because the remedy would involve taking something from someone after it has already been legally transferred, or after a long period of time has passed. An example of a condition subsequent is leaving the family farm to a son on the condition he never grows beans on the farm. This kind of condition can become tricky to enforce if the son grows beans on the farm fifty years after the initial transfer of the land to him. One common condition precedent that is often challenged is the requirement that a beneficiary only receive a bequest if he marries a person of a certain faith. Depending on how the condition is stated, a court may uphold a condition restricting the group of people a beneficiary may marry if the beneficiary wants to receive a bequest. However, if the bequest is too restrictive, or encourages divorce in order for the beneficiary to receive a gift, it is not likely to be upheld because it may be held to be against public policy. 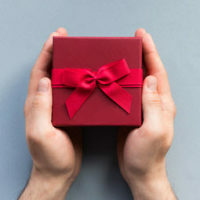 Conditions that restrict the beneficiary’s ability to receive a gift unless he has reached a certain age or attained a certain level of education are likely to be upheld. If a testator simply seeks to make sure that the beneficiary will not squander his inheritance by including this condition, there are other ways to ensure this. Whenever a testator includes a condition in a will or trust, his intent must be clear because it is likely that a beneficiary who loses out on an inheritance because of failing to meet the condition will file a lawsuit challenging the validity of the condition. The court often has to interpret both the condition and the intent of the testator. While conditioning gifts on certain behavior or conditions may be possible, wills and trusts including such conditions should be well drafted to ensure that the conditions can be upheld. In order to ensure that your will or trust is upheld with the conditions in place, you need to consult an experienced estate planning attorney for more information. Call an experienced estate planning attorney from the Millhorn Elder Law Planning Group located in The Villages, Florida.